Yesterday’s post about Bayesian statistics has generated over a thousand hits in just a day – highly unusual for a Saturday posting at In the Dark. I guess that proves that there’s a lot of interest out there in such matters, so I’ll return to the theme as soon as I have both the time and the energy, which might take a while because those are conjugate variables! After yesterday’s exertions I felt like relaxing this morning, and I did so by transferring some of my old vinyl (and even shellac!) records into digital format using a USB turntable. I’m a bit frustrated by the fact that some of my favourite classic old jazz records aren’t available on Youtube and am thinking of correcting that at some point myself, despite my latent technophobia. However, in the course of rooting about in my record collection I found a vinyl single of this record by Sting, the Ben Liebrand remix to be precise. 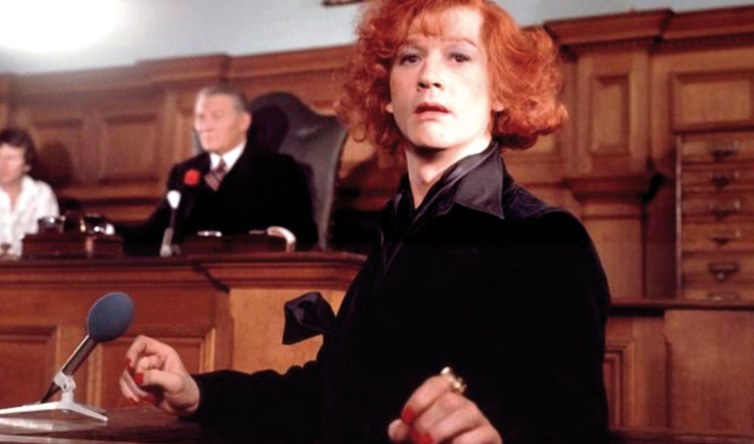 It is, of course, a homage to the late Quentin Crisp whose book The Naked Civil Servant I read after seeing the wonderful film starring John Hurt, which was broadcast on the BBC in 1975, when I was 12. I found inspiration in both, for reasons I probably don’t need to spell out. Crisp emigrated to the United States in 1981 and lived the last years of his life in a dingy one-room apartment in New York City. There’s another quasi-biographical connection with this record. When I was a little kid living in Benwell, my Dad used to play the drums with local jazz bands. At the time Sting (or plain Gordon Sumner as he was then known) was working as a supply teacher in the area and he played the double-bass with local groups too, including the Phoenix Jazz Band and the River City Jazz Band; the latter was certainly a band my father played with from time to time. My Dad once told me that he had played with Sting on a number of occasions, and he’d even practised in our garage, but I’m not sure how much of that is actually true. Incidentally, in case you didn’t know, Sting got his nickname playing with jazz bands in the North-East. He always refused to wear the band uniforms but instead tended to turn up for gigs wearing a black and yellow hooped jumper which made him look a bit like a bee, hence the name. This isn’t a jazz record, of course, but it does feature Branford Marsalis (brother of the trumpeter Wynton Marsalis) on soprano saxophone. I bought a soprano saxophone some time ago and tried to play along with the track just now – the chords aren’t very complicated so it shouldn’t have been too difficult even for an incompetent like me. However, I’m finding the soprano sax quite a recalcitrant beast which is very difficult to play in tune. I’m not sure why. I manage all right with its bigger brother the tenor sax. Perhaps it’s my embouchure? Or, as jazz musicians say, I haven’t got the chops?